Jailbreak vs. Unlock: Which Is Best for You? Jailbreaking an iPhone and unlocking an iPhone aren't the same thing, even though they're often talked about together. They're related because both give users more control over their iPhones, but the kinds of control they offer are very different. So, what's the difference between unlocking and jailbreaking an iPhone? Jailbreaking lets you control what software you install on your iPhone. Unlocking lets you choose which phone company to use your phone with, no matter which one you bought it from. Read on to learn more about each option, how they can help you, and what you should watch out for if you're thinking about doing either one. Apple tightly controls what users can do with their iOS devices. This includes blocking certain kinds of customizations and only letting users install apps released through the App Store. Apple reviews apps to ensure they meet basic standards of design and quality. But there are thousands of apps that aren't available in the App Store, even some that may be useful to most users. Apple has rejected these apps (or never reviewed them) for reasons like violating terms of service, poor quality code, security problems, and existing in legal gray areas. If those issues aren't important to you, you may want to try out these apps. Jailbreaking allows that on the iPhone, iPad, and iPod touch. Using apps from all of the compatible app stores, not just Apple's, such as Cydia (it's worth noting that Cydia seems to be fading away). Change your default apps and app icons. Customize the user interface in ways the iOS doesn't usually allow. Get paid apps for free (aka pirate them). Sounds great, right? Maybe, but along with its appealing features, jailbreaking also introduces some notable risks. Jailbreaking exploits security holes in the iOS to remove Apple's controls on your iPhone, iPad, or iPod touch. Doing it can void your warranty and/or damage your phone (which means Apple won't help you fix it), and open you to security vulnerabilities that other iPhone users don't have to worry about. Unlocking is similar to jailbreaking because it offers more flexibility, but it's a different and more limited kind of openness. New iPhones are generally "locked" to the phone company whose service you signed up for when buying it. (That said, you can buy iPhones that are unlocked out of the box, too. This has become more common in recent years.) For example, if you sign up for AT&T when you buy your iPhone, it is locked to AT&T's network and won't work with Verizon or Sprint (at least not initially). Locking a phone used to be done because phone companies subsidized the upfront cost of the phone when customers signed multiyear contracts. The phone company couldn't afford to have a customer leave before making its money back. There aren't many subsidies anymore, but phone companies now sell phones on installment plans and need to hold onto customers who are still paying them off. When you unlock an iPhone, you modify its software to allow it to work with other phone companies than your original one. This can be done by Apple, by a phone company (usually after your contract expires), or with third-party software. In most cases it doesn't exploit security holes or harm your phone like jailbreaking can. Change your phone carrier to one that offers better service in your area. Change your phone carrier to one that offers better rates. Temporarily use local phone companies while you travel. There has been legal confusion about whether unlocking is legal and a consumer right. In July 2010, the Library of Congress said that users had the right to unlock their iPhones, but subsequent rulemaking made it illegal. The issue seems to have been decided for good in July 2014 when President Obama signed a bill making unlocking phones legal. 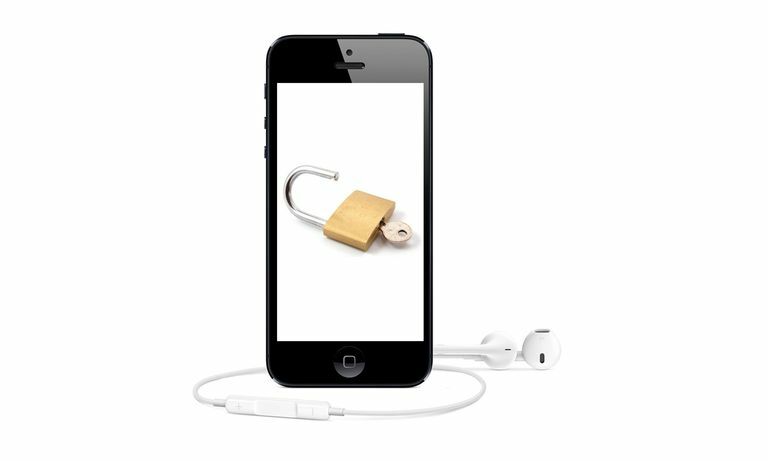 Unlocking and jailbreaking an iPhone aren't the same thing, but they both give the user greater control over their iPhone (or, in the case of jailbreaking, over other iOS devices, too). Both require some tech savvy. For jailbreaking, you need the willingness to risk damaging your phone. If you're not comfortable with that risk or don't have the skills, think twice before you jailbreak. On the other hand, unlocking can give you more flexibility and better options and is a safe, standardized process.